It's been 10 years since the original Alice game was introduced to players on the PC, and now it is finally time to help Alice discover the truth about her family's deaths. 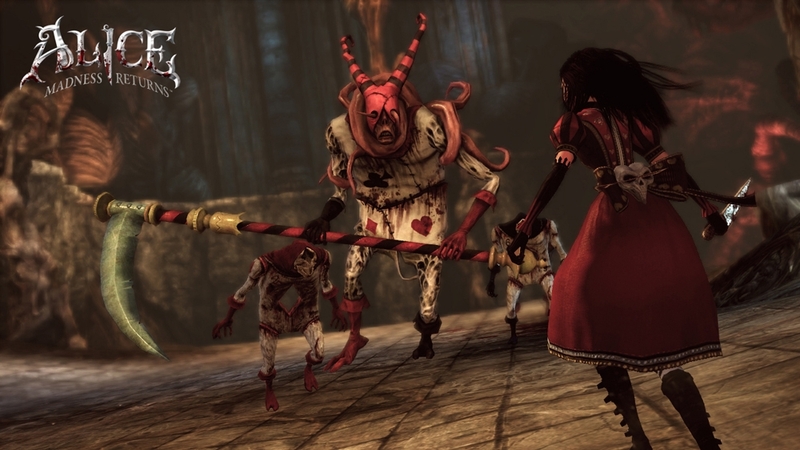 American Mcgee returns to create a new game for Alice fans, and using the technology of today, he and his team have done a great job of presenting Alice to a new group of players. 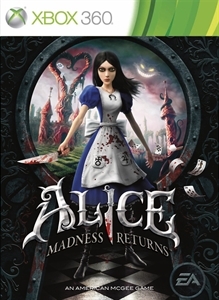 In the start of Madness Returns, Alice finds herself in an bind as she attends therapy to help cope with her madness and nightmares when she gets whisked away to the remains of Wonderland. With the help of her ally the Cheshire Cat, Alice sets out to find the truth and stop her worries of the past. The game's length is surprisingly for a single player game and also includes a New Game+ option which will give you all your upgrades from the get go. The way this game plays at least to me felt pretty similar to the first Darksiders game, which is pretty cool since that game has some Zelda elements to it. In Alice you can focus on foes one at a time if you wish, as well as using different weapons that inflict damage on multiple enemies. 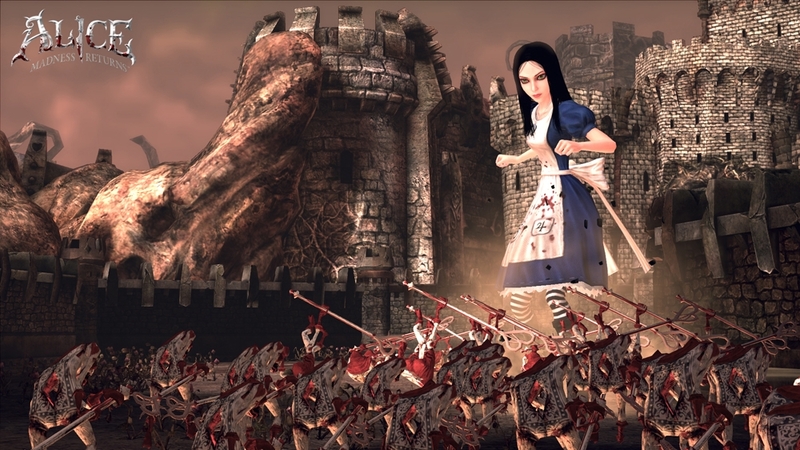 When you get too overwhelmed from the onslaught of enemies, Alice can go into Hysteria mode, where she will be invincible for a small period of time, giving you an edge to go after the tougher enemies while in this mode. The game's difficulty level may range for players, but I was able to complete the game with only about 10 deaths, so dying is less of a frustration compared to other games out there. The World of Madness Returns is very colorful when it needs to be, and then can become darkened to adjust to where you are in the game. 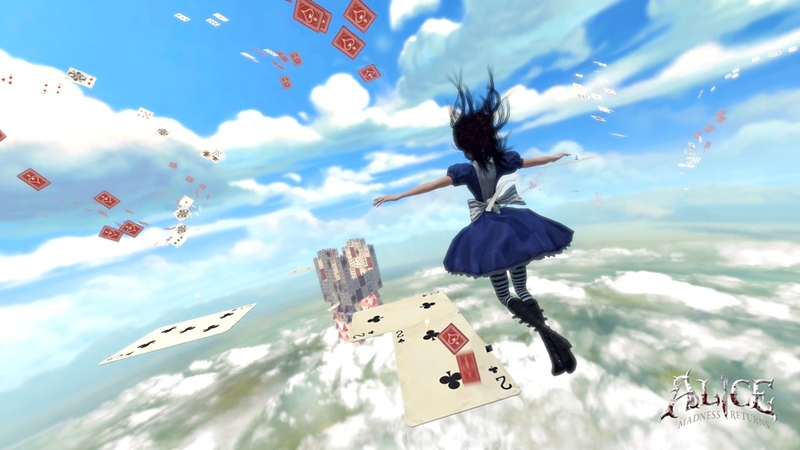 Traversing through each level will also find Alice changing her attire, something that you can change if you wish in the main menu. Music and voice-overs are nice as well, and have some catchy tunes and dialogue. Overall, Madness Returns was a surprisingly lengthy game with plenty of incentive to go through again with the New Game + option. Players who pick up the game new can also receive a copy of the original game to play, so you're basically getting two games in one. If you were a fan of Alice a decade ago, it's time again to welcome her madness.